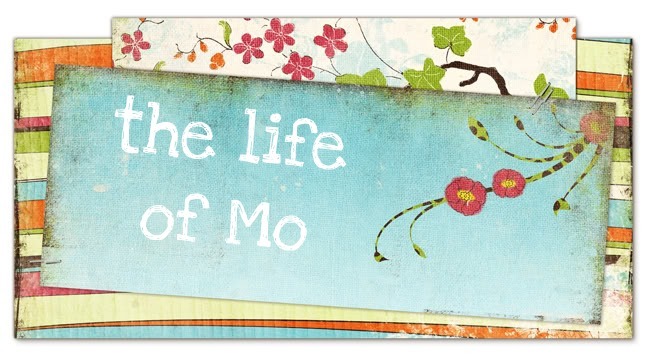 The Life of Mo: Jaywalkers! 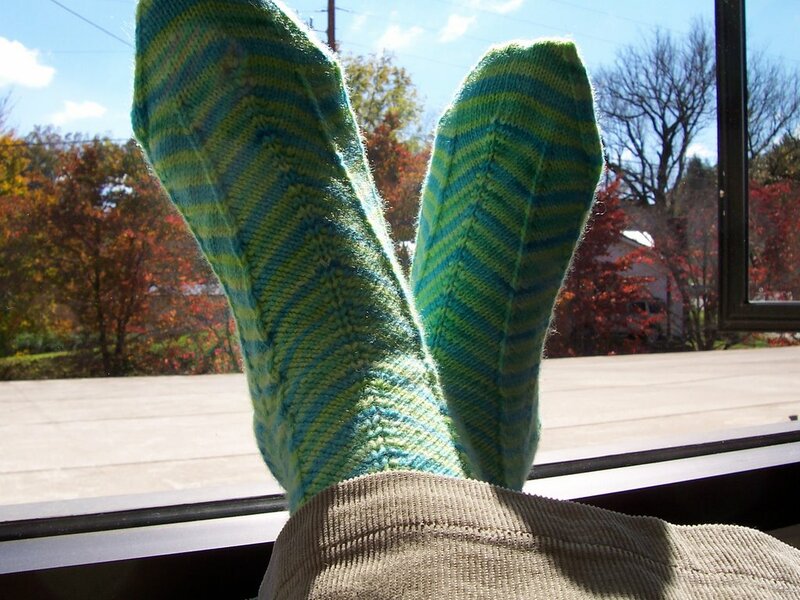 We had our first frost here yesterday, so it's a good thing I finished a fresh pair of wool socks last week! These are the Jaywalker socks. 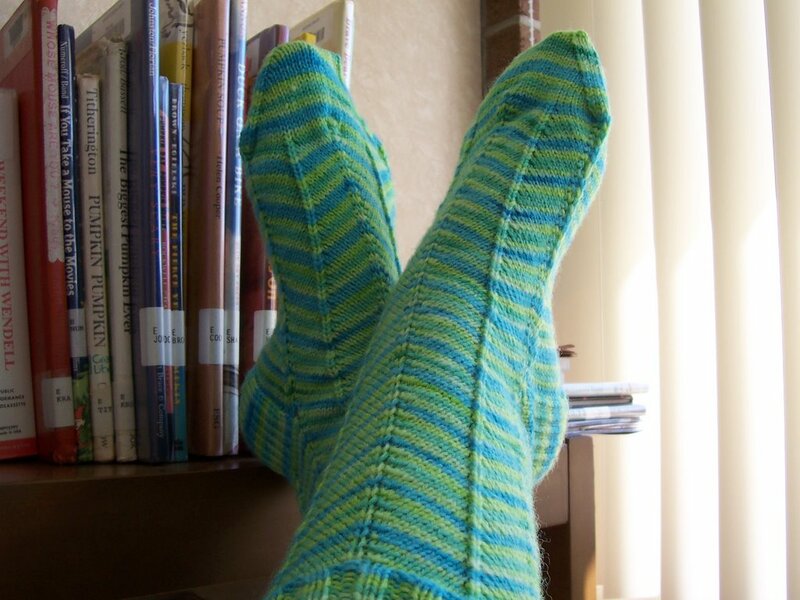 I'm especially proud of them - they fit well, they are definitely INTERESTING to look at, and I dyed the yarn myself with kool-aid. You can read about that here. 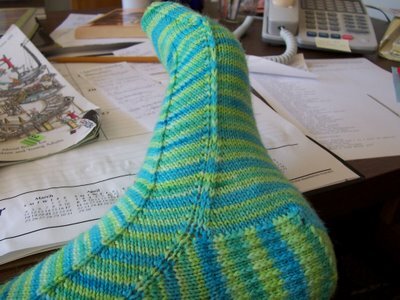 I started these back on September 7 and finished them on October 19th in celebration of Socktoberfest. If I can find the time, I'm going to dye up some more wool in kool-aid colors and make another pair because I like these so much!